Cast iron frame 18 gauge CRC pipe with epoxy paint , outdoor purpose useing a cane UV prouf, camplit outdoor all weather prouf multi colour option. Started our operations in the year 2014, we, One Step Furniture, are among the prominent manufacturers, suppliers and distributors of a wide range of the finest quality of Garden & Outdoor Furniture Items. 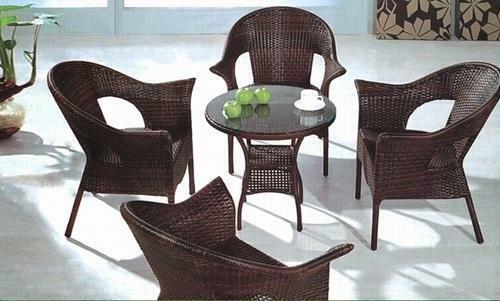 The furniture item range offered by us is inclusive of Garden Furniture, Outdoor Furniture and Folding Beds. These furniture items are designed by a pool of experts by using quality assured materials such as wood and steel. Their durable construction, seamless finish, fine polish, elegant design, contemporary appearance and ability to bear harsh environmental conditions make these furniture items highly demanded in parks, gardens and schools. Being a patron centric organization, our main goal is to attain maximum customer approval and satisfaction by providing them with an unmatched furniture items at cost effective prices. The offered range of furniture items are rigorously checked on various quality assurance parameters such as finishing, strength, design and durability, to ensure a defect-free range. We serve our clients across the globe as per their requirements and specifications.